You need to go the Clark County Marriage Bureau in person and you have to go together and the bureau only takes cash ($55) and they ask for the correct amount ! The bureau is no longer open 245/7 but open 8am until midnight 7 days a week. At public holidays and particularly Valentines day you can find yourself queuing for a long time. You also need to show your passport, driving licence or birth certificate, surprisingly enough this (at least until next year) is only to prove your age not who you are ! You need to hand over a completed marriage licence application form each which you can download the form here you should download the instructions here they will help you. The Marriage Bureau suggests you bring a copy of the instructions with you when you apply for your licence. If you are not a US citizen under the title “Social Security (E)” write “NONE” Once you have handed over the forms and the cash and proved you are at least 18 you will be given a marriage licence this is valid for one year and allows to get married in Nevada by anyone licensed to perform marriages. When you get to your marriage venue you will need to hand over your marriage licence, your minister (or appointed licensed person) will then marry you and he or she will file this with the Marriage Bureau so that a marriage certificate can be issued. The minister does not get paid by the wedding venue he works for tips so you should give him at least $50. Many venues will arrange for a marriage certificate to be posted to you or allow you to collect it from them at a later date. You can also apply for a certified marriage certificate by writing to “Clark County Recorder, P.O. Box 551510 Las Vegas, Nevada 89155-1510” and enclosing the fee of $10. Requirements for U.S. citizens and non U.S. citizens are the same. Social Security Numbers are required on the Affidavit of Application for a Marriage License. Please know your Social Security Number. Those without knowledge of their Social Security Number may be refused a marriage license. It is recognized that non U.S. citizens will not have a Social Security Number. Marriage Ceremonies: In order to have a legal marriage, a ceremony must be performed in the State of Nevada within one year from date of issuance of the marriage license by any person licensed or authorized to perform ceremonies in Nevada. The ceremony may be performed in any Wedding Chapel, Church or the Civil Marriage Commissioner’s Office. These marriages are recognized throughout the world. 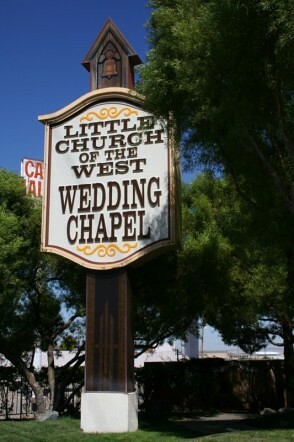 Vows: In Las Vegas you are allowed to write your own vows so you can make your ceremony very very special you can make it as personal and unique as you wish here is a link to a fantatstic book that helps your write great vows that will make your day even more special. Blood test: There is no blood test and no waiting period after a license is issued. 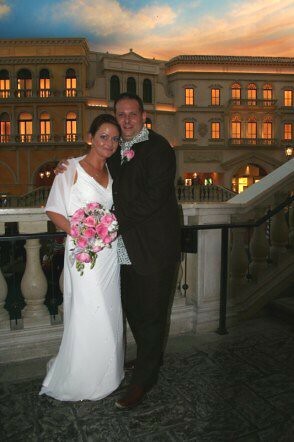 Hi my name is Vicki me and my partner Adrian are planning on getting married in vegas. We are new to this we worry that our marriage won’t be recognised in England. Me and my boyfriend of 5 years wanted to get married. But he is from Mexico he does have his birth certificate,but he’s not a legal citizen. could we still get married?? and yes we are both over 18. Is it legal to get married on the Vegas strip, say in front of Mandalay bay?